BALLISTIC PROTECTION TO THE 6th POWER. Innovative technology, optimizing both performance and wearability. Our state-of-the-art design combined with our proprietary Super-Flex1 fabric provides superior strike face performance over traditional weaves. This technology increases the performance of the vest when on impact decreases the speed of the bullet slowing down the cutting and spinning to flatten it faster. 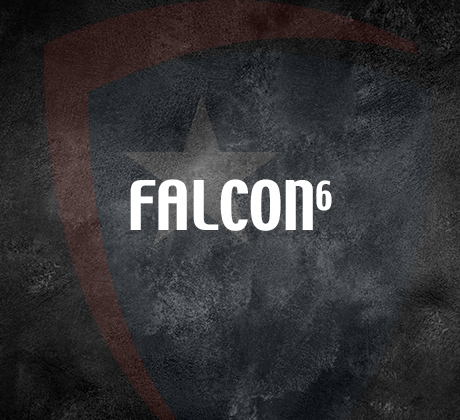 The Falcon⁶ provides a soft, flexible, high performance package while also affording the most comfortable vest available! This ballistic package combined with our REVOLUTIONARY LDSS (Load Distributing Strapping System), a patented new ergonomic strapping system, allows you to feel like you’re wearing nothing at all…..Falcon6 the most comfortable vest available! Survival Armor’s proprietary weave produces an innovative high performance fabric. Using new technology with proven ballistic fibers, Super-Flex offers superior strike face performance over traditional weaves. This new technology increases the performance of the vest by to methods. One, it slows down the cutting and spinning of the bullet. Two, it increases the speed at which the bullet deforms and flattens out.